This house is super cool and really nice, but at USD $88k it's a bit expensive. Many small house enthusiasts could purchase a tiny house for $35-$45k and power it with solar for an additional $8-$10k, a savings of up to $30k! 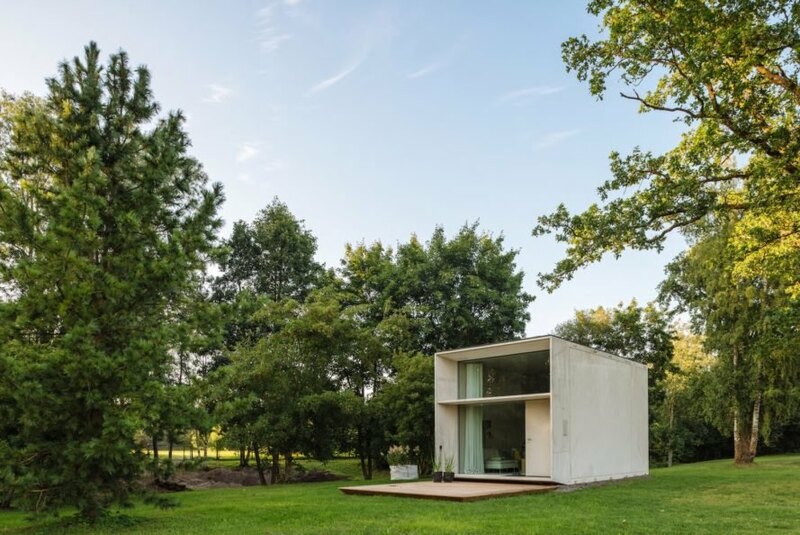 Made primarily of concrete, the portable KODA prototype is constructed with factory-made components selected for their strength and energy efficient properties. 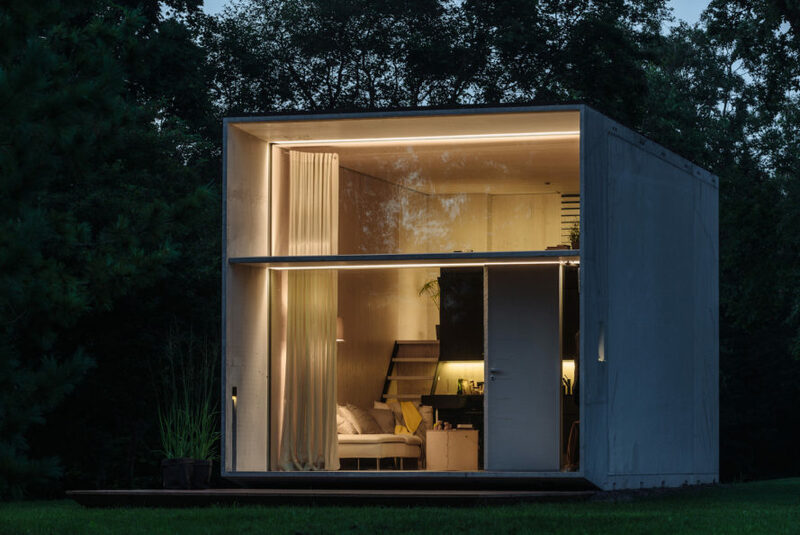 Its sturdy structure allows the tiny home to be assembled on different surfaces without the need for foundations. Quadruple glazing and vacuum-insulated concrete walls minimize energy demands and help maintain a comfortable internal temperature. 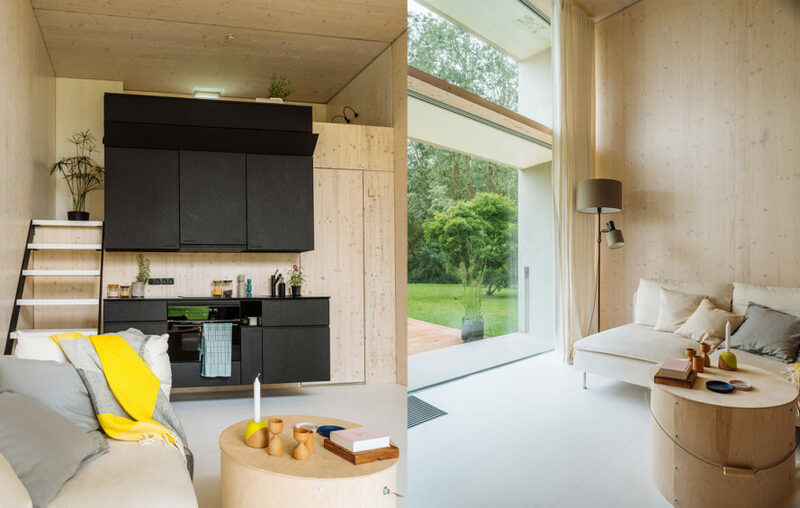 The homes are modular and can be connected to create a larger living space. KODA maximizes its 25-square-meter footprint with an open-plan living area bathed in the natural light that pours through a glazed front facade.
. The full-height glazing is slightly set back to make room for a built-in terrace and to shield the interior from harsh solar gain. The kitchen, bathroom, and loft bedroom are located near the rear of the home for more privacy and are lit by LEDs at night. Rooftop solar panels power the KODA unit and are capable of generating more energy than the home needs. All finishing materials are non-toxic. Kodasema has plans of selling the home in Estonia later this fall at 85,000€ (VAT not included).